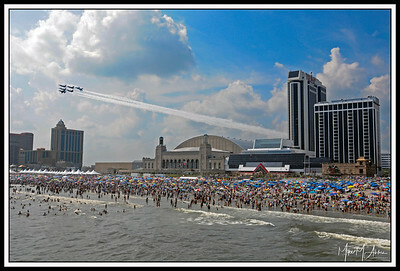 Military jets scream over the Atlantic City Convention Center. 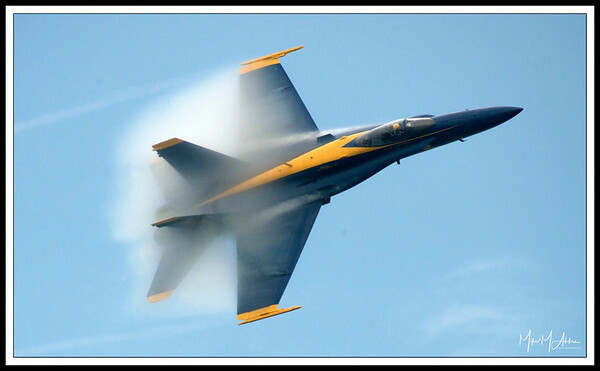 A Blue Angels jet forms a vapor cloud during a show at Ocean City, MD. 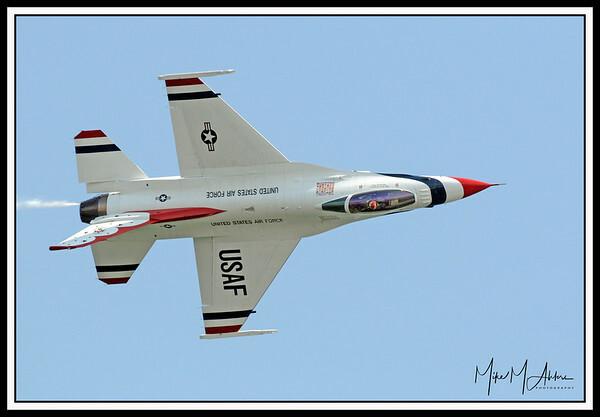 The orange is fire from the afterburners. 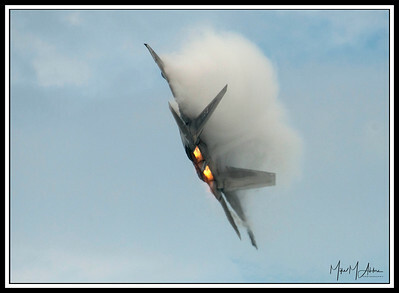 The cloud is water condensation, formed during tight maneuvers in certain weather conditions. 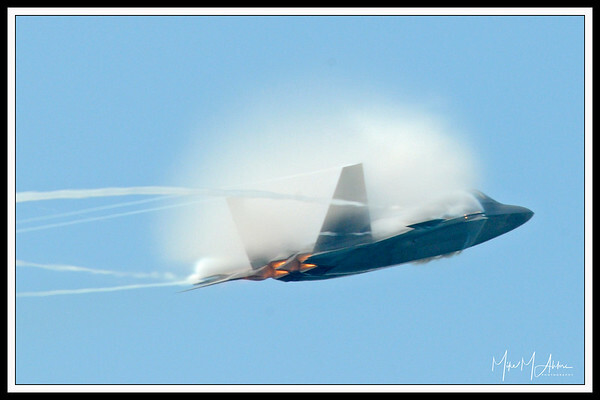 A jet disappears in a cloud of its own creation. 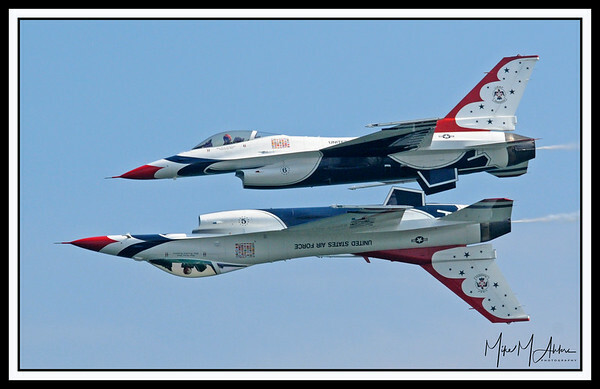 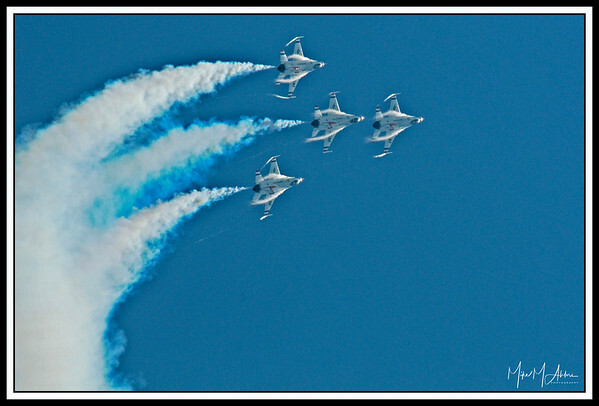 The U.S. Air Force Thunderbirds are the third oldest s are the third oldest formal flying aerobatic team (under the same name) in the world, after the United States Navy Blue Angels formed in 1946 and the French Air Force Patrouille de France formed in 1931. 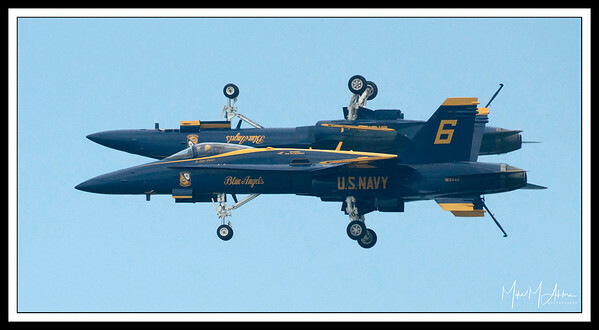 The Blue Angels strut their right stuff at an airshow. 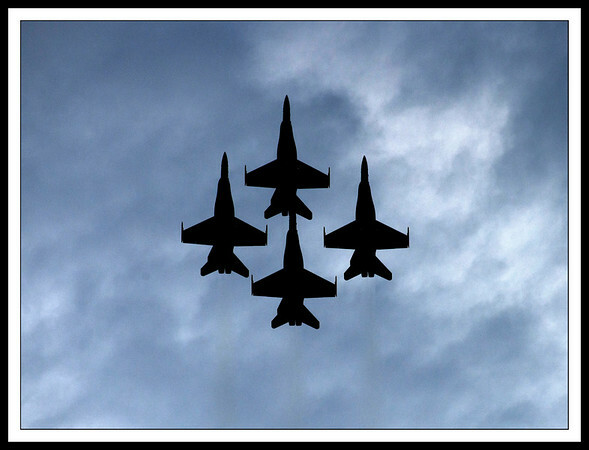 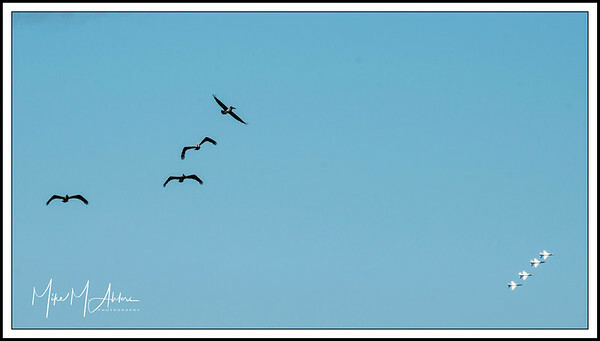 Four of the Blue Angels form a diamond formation at an air show in Ocean City, MD. 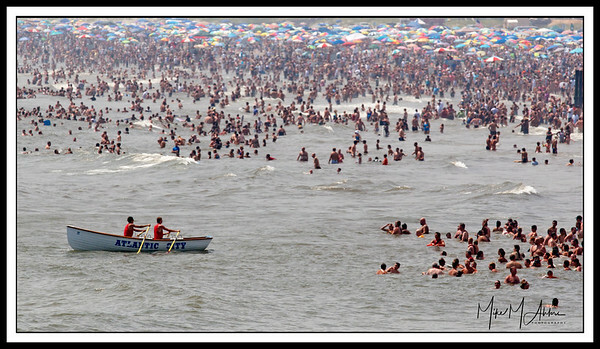 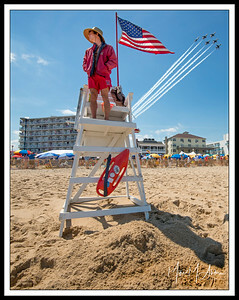 Two Atlantic City lifeguards patrol the beach on a busy day. 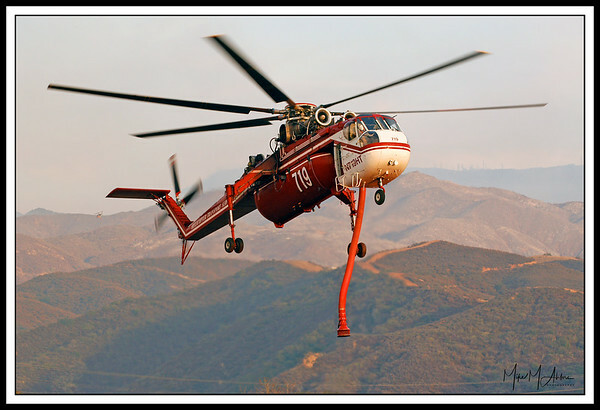 A 1969 Sikorsky CH-54B helicopter fights a forest fire. 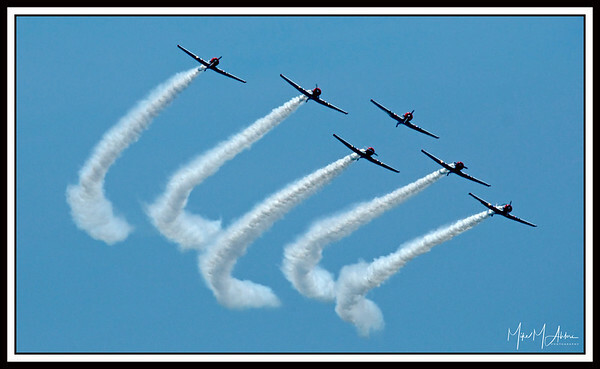 The GEICO Skytypers -- six vintage WWII planes -- paint the sky during an air show in Ocean City, MD. 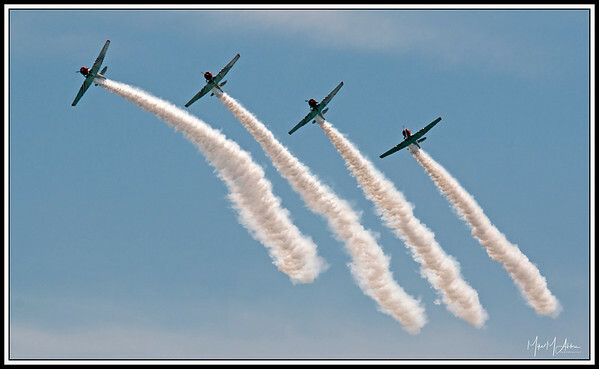 The GEICO Skytypers, an aerial demonstration team, paint the sky at an air show in Ocean City, MD. 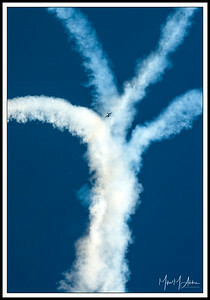 Two aerobatic planes create clouds of smoke, but are no match for the commercial jet soaring thousands of feet above. 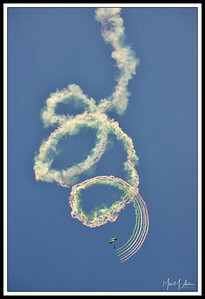 A parachutist paints the sky during the Ocean City Air Show. 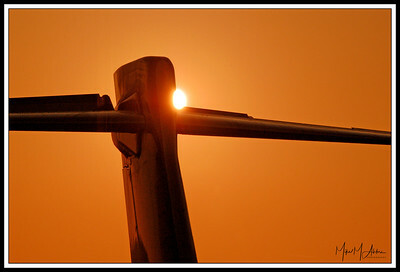 Sun shimmers off the tail of a commercial jet. 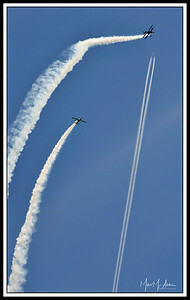 Commercial jetliners roll down the assembly line at Boeing's plant in Everett, WA.